Abstract. 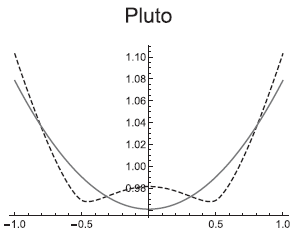 In this paper, we use a sixth order Legendre series expansion to approximate the mean annual insolation by latitude of a planet with obliquity angle β, leading to faster computations with little loss in the accuracy of results. We discuss differences between our method and selected computational results for insolation found in the literature.